Hi y’all, Rusty here. 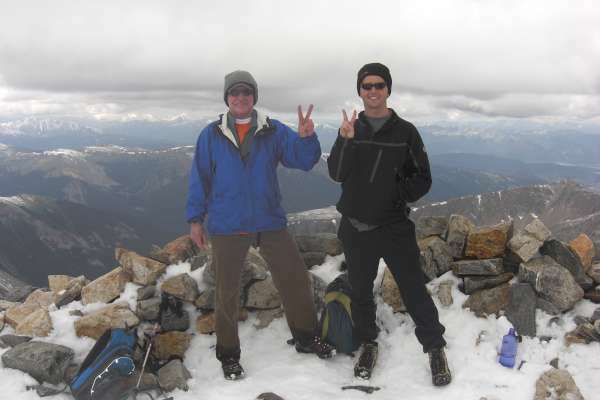 Last week my Dad was in town so we decided to hit a 14er while he was here. We were going to hike Longs peak, which is the big one you can see from my house, but a freak August snowstorm blew in on Saturday and buried everything above 12000 feet in snow. Longs peak is pretty technical. There is a part called the keyhole followed by the trough where you are scrambling up slick granite over a 1000 ft drop. 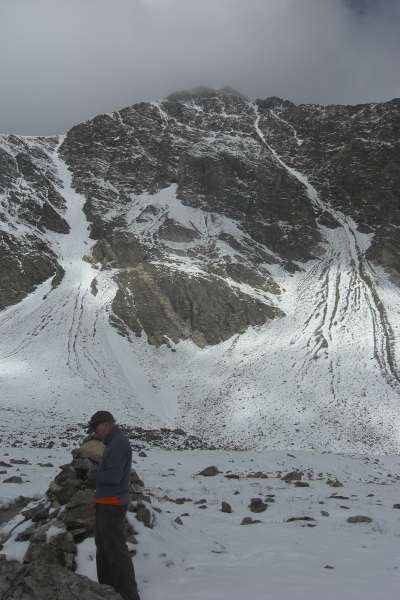 This is challenging when it is dry, but if it’s covered in snow you need climbing gear (which I haven’t invested in). So we decided to do something a little less technical but just as close, Gray’s Peak and Torrey’s Peak. 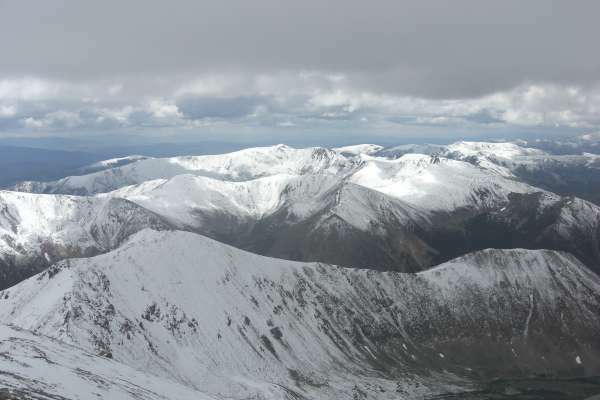 These are two 14ers about a mile apart. 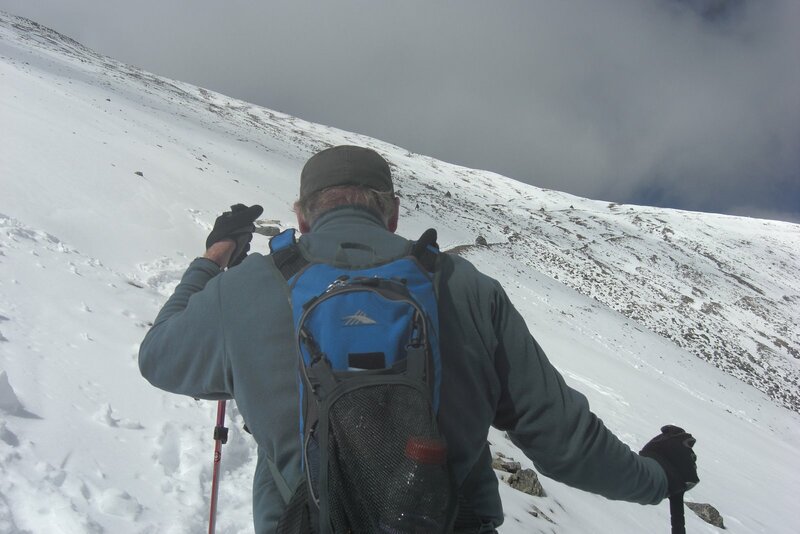 As you can see from the pics, it looks like we could have been hiking in January. 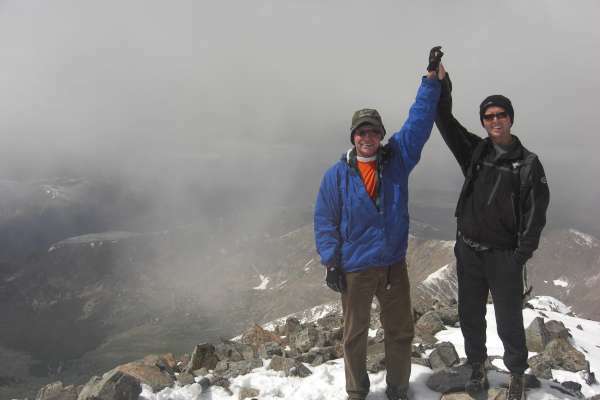 This was 14er number #9 for me (I have already done Grays) and 14ers #1 and #2 for my Dad. Good times! 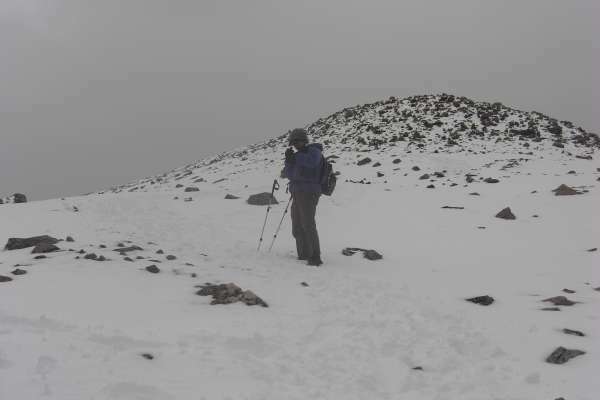 Hiking in the snow up to the saddle. View from the top – This is the supposed to be the hottest, dryest time to hike! awesome, i need to show this to justin. 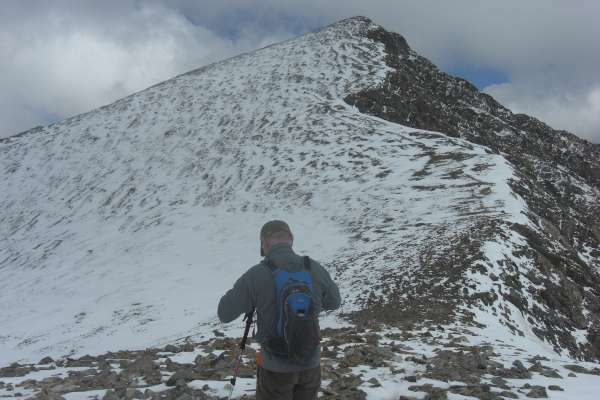 I want to do a 14er!